To Eyal Shani, the Israeli master chef who conjured worldwide repute from the humble cauliflower, beans are a source of unbelievable magic. 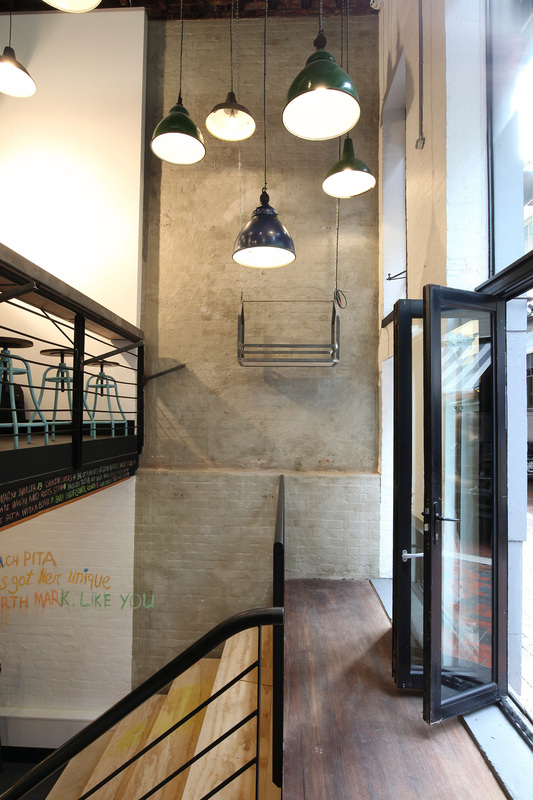 Here, in this instance, is the sixth branch of Miznon, the street food meets haute cuisine restaurant the chef has just opened on Hardware Lane in central Melbourne. 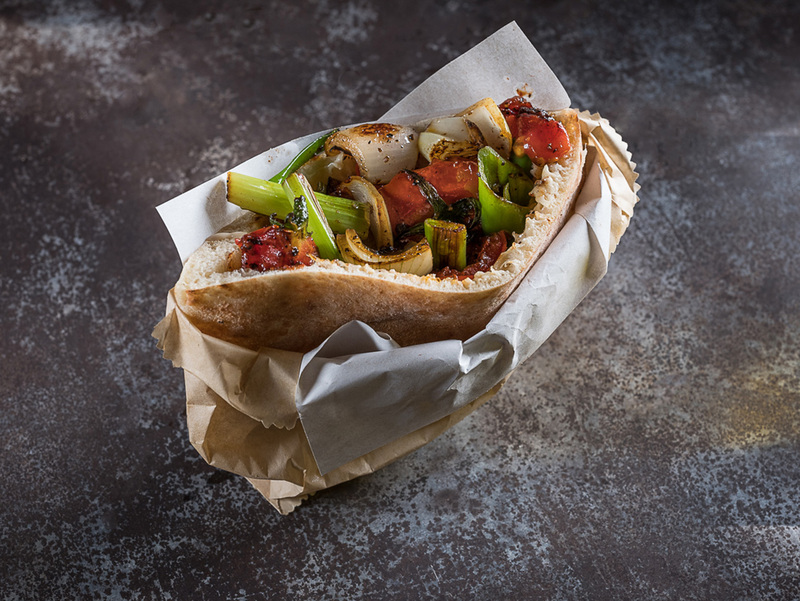 The concept, explains Shani, is to take “the highest cuisine, the highest ingredients, and my best chefs, and make fine cuisine that is served inside the pita”. 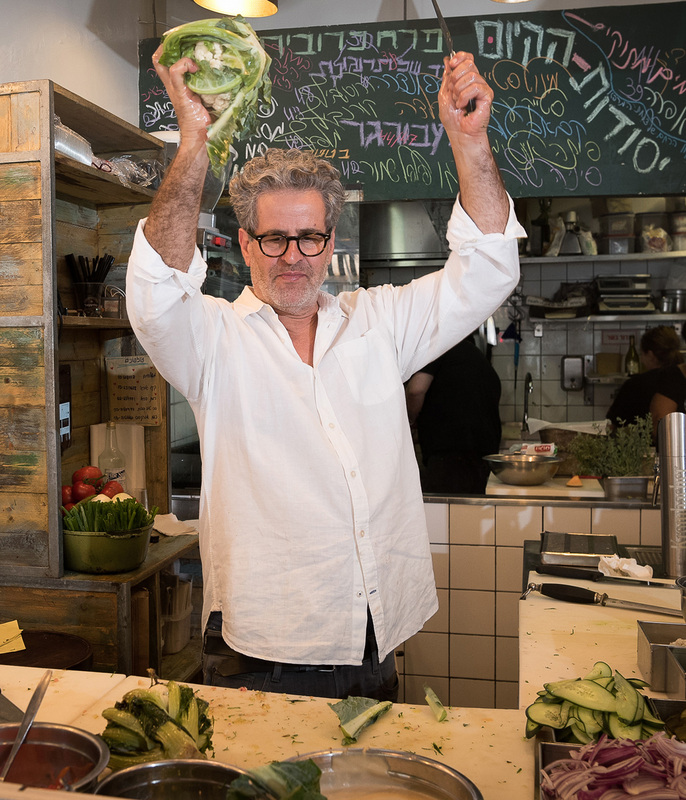 It was borne of a desire to reconnect with the energy of the street, and of young people, which Shani says he lost touch with after “cooking for rich people for more than twenty years.” He opened the first of three branches in Tel Aviv in 2007; in the years since, operations have expanded to both Paris, where a very popular store in the Marais is known to draw considerable crowds, and in Vienna. Within the next two months, Shani plans to open doors on a Miznon in Chelsea, New York – his seventh. The kitchen will be helmed by Asik Gal. The two have worked together for the past eight years and share a vision to draw on the energy of the city’s streets. He has spent the past two weeks sourcing ingredients and finding a balance between tastes, trying with each intervention to reduce evidence of his hand more and more until the desired taste – “sweet and mild. The textures are unbelievable” – reveal themselves with as little encouragement as possible. From that research period, Shani says he deduced that “there is no real national cuisine”, and that a “big vacuum” exists in place of an Australian fare. He says he sees “the beginnings of a plan” in Melbourne and Sydney’s cafés and their preponderance of herbs, colours and vegetables – a visual feast that in many ways struck a chord for the chef with the food of his homeland. Soft openings at Miznon the night prior to our conversation proved a hunch he’d long been harbouring when 75 per cent of the night’s orders were for vegetarian dishes. Time spent assessing the lay of the land also revealed to Shani that Australians also love burgers, which compelled him to create, “for the first time in the world, a hamburger based on 100 per cent chickpeas” inspired by the vegan felafel of Israel. He’s particularly excited for Melburnians to get their hands on one. Then there is the cauliflower, the creamy white flowers of which have become inseparable from his superhero cheffing origin story. Long considered his signature dish, Shani’s sweet whole roasted cauliflower makes a star turn in Melbourne, this time, however, “in such a golden colour that I have never seen in my life.” Influential though it is – his style of cooking has had an indelible impact on chefs like Jamie Oliver, Giada De Laurentiis, Yotam Ottolenghi and Rachael Ray – Shani’s cauliflower requires little more than a basic aptitude with vegetables, seasoning and applying heat to execute. A whole cauliflower is blanched in salted water until soft; after it’s dried, ample olive oil should be applied by hand. Season with salt and bake until golden brown in a hot oven. The irony of such a simple dish becoming a global cult phenomenon has not escaped Shani, who is also well known in his capacity as a popular judge on the Israeli imprint of MasterChef. The chef says that, at the outset of his career, he was once only known for creating “a world of tomatoes”. However, “people have no time to understand things in depth [therefore] they try to find an easy title for you. And the title is now the cauliflower. I think that I can show a huge variety of dishes. I just writer letter after letter of the knowledge that exists inside the food. Where those beans could take Shani, then, is anyone’s guess.